It’s been a beautiful fall so far in Calgary, and many of us are still enjoying our properties. The slow Indian Summer is giving us more time in the yard, and the prolonged nice weather is allowing for additional commercial and residential landscaping projects. Another bonus as that there’s still plenty of time to schedule your fall clean up. The main reason to schedule a fall clean-up is to reduce the chances of pests settling in for the winter among fallen yard debris like leaves, branches and perennials. Cleared-out beds leave fewer places for bugs to hide. Mirage Landscaping’s fall clean-up services include a thorough raking of all lawns and beds. We can also remove your annuals and trim back your perennials. We are huge fans of compost, as well, and fall is a great time to till and fix your beds with a dose of either homemade black gold or a store-bought mixture. Compost offers a nice hit of nutrients to the soil to help get your plants through to the next spring unscathed. We always recommend a protective layer of mulch as well, which serves as a winter temperature-regulating layer and moisture retainer. If you like, we can return for a more thorough pruning of shrubs and trees once your trees and shrubs have gone dormant. Then we will give your grass a last mow and trim, ensuring to leave three inches of blade length. This is optimal for providing good protection of the root system as well as staving off the effects of heavy snow. Fertilizing and aerating the grass one last time ahead of winter is also very important. And a fall feeding builds a strong root system to protect your lawn during the cold Calgary winter. We use a special blend of fertilizer so as to not burn your lawn, where a nutrient assist, not lush growth, is the goal. And if you are like many homeowners or property managers, everyone from kids, to dogs, to the general public, has put a summer beat down on your lawn from foot traffic. All of this activity compacts the soil. If you decide on one last feeding for your lawn, aerating helps ensure the nutrients, oxygen and nitrogen, will get to the root system of the grass. Even if you decide against fertilizing ahead of winter, you should still consider an aeration of your lawn. The aeration will perforate the lawn with hundreds to thousands of little holes, so every time the winter’s snow cover melts your lawn will receive much-needed moisture. Damp conditions due to warm Chinook winds and a lot of organic material provides the ultimate growing environment for snow mould. If mould can grow on fruits and vegetables stored in a refrigerator, it can certainly grow beneath a layer of snow. Thick snow cover becomes an insulating blanket, perfect for mould growth. If you leave too much thatch, grass clippings, dead leaves, or twigs and branches lying about on the lawn, mould spores will begin to grow upon this organic waste and then spread, revealing themselves only after the snow melts. In the spring you will be able to spot lawns that have been infested by either gray or pink snow mould. What you are seeing in these growths, that look something akin to multiple circular spider webs laying upon the ground, is actually a form of fungus. The spidery strands that interconnect to form the web are called hyphae. The good news is that the fungus is harmless to the grass, but it is really unsightly. Come winter Mirage Landscaping in Calgary works through the “off season”, performing snow removal services for our commercial and residential clients. 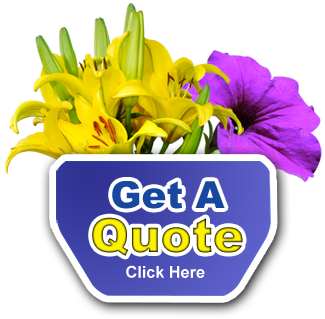 As always, we offer free price quotes on every service we provide to our clients. 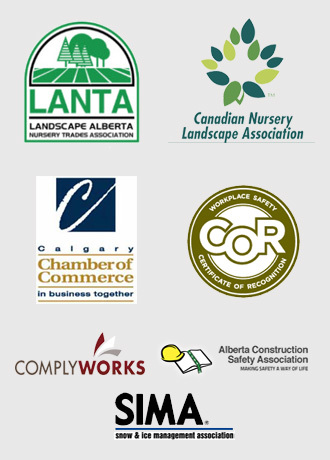 If you live in the Calgary area, you should call us and see what we can do for you this fall.